TORONTO, April 21, 2015 - Borrowing for Canadians just got smarter. Borrowell, the new peer-to-peer (P2P) lending platform, offers affordable, fixed-interest loans giving Canadians a smarter way to manage their debt. The online platform accepts applications from Canadians with good credit scores who want better alternatives to high interest rates on credit cards and avoid the inconvenience of bank loans. According to Equifax, Canadians currently hold over $80 billion in credit card debt with a typical interest rate of 19.9 per cent or higher. Borrowell is designed to let responsible Canadians be smarter about their borrowing, and customizes interest rates based on the borrower's credit profile. The marketplace lending platform offers loans up to$35,000 on three and five-year terms with rates starting from 5.9% APR. Interest rates are fixed, loans are fully paid off at the end of the term and there are no early pre-payment fees. "We believe Canadians deserve better borrowing options," says Andrew Graham, CEO, Borrowell. "We reward responsible Canadians who have good credit by giving them an affordable alternative to the traditional, expensive and cumbersome options currently available. Our goal is to help Canadians conquer debt by giving them a smarter solution." Borrowell matches people who want to borrow with lenders who want to lend money to responsible Canadians. Its proprietary technology does the matching quickly and securely. Borrowell operates exclusively online, cutting down on cost and complexity to pass the savings on to the borrower. Peer-to-peer lending is disrupting traditional borrowing. In the US and UK, online marketplace lenders have served over one million customers to date. Goldman Sachs estimates online lending could grow to take over $1.7 trillion of an addressable $4 trillion of debt. In the past year, the industry has seen rapid growth and has been named 'Innovation of the Year' by American Banker. "We're seeing massive growth in marketplace lending around the world," said John Bitove, Canadian businessman and Borrowell investor. "With Toronto-based Borrowell entering the market, Canadians now have an innovative and smarter way to borrow money, allowing them to get a better handle on their debt." In December 2014, Borrowell received $5.4 million in seed funding and loan capital. Key investors include Equitable Bank and Oakwest Corporation Limited, a private investment company owned and managed by the Beutel family. In addition to John Bitove, notable individual investors include Roger Martin, Dan Debow and Joe Canavan. To learn more, visit www.borrowell.com. NorthPR recently secured a guest post in the Globe and Mail for our client Ferhan Bulca. The article titles 'Your startup has been acquired. Now what do you do?' offers some expert advice to founders whose companies have been acquired. Check it out here. Do you have expert advice that you'd like to share in a guest column in a reputable publication? We can help you! Give us a shout today and let's chat about raising your profile. I've been fortunate to start NorthPR working with some very successful entrepreneurial companies. These companies have been successful because they identified a problem or gap in the market and came up with a really smart solution. After attending Foundations in Entrepreneurial Management last week, we discussed that 'seeing problems as opportunities' is the starting point to a successful entrepreneurial journey. In this blog post, I want to share my clients' problem/solution stories with you. Problem: The modern workforce isn't 9 - 5 anymore and the 'office' as we know it today is dying an unproductive death. Will our children ever work in cubicles? Unlikely. Will they sit in traffic jams to commute to an office? Let's hope not. 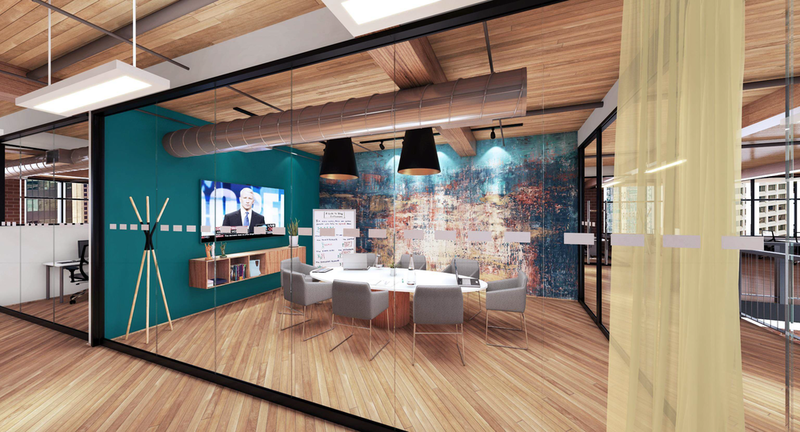 Opportunity: Regus, the world's largest flexible workspace provider, has setup office spaces in 100 different companies so people can work their way. Whether it's from home (but need a professional address), need a touchdown 'office' closer to home, or a 'coworking' space with other likeminded individuals, Regus has multiple options so people can work whichever way suits them best. Problem: Heating and cooling accounts for 50% of a home's energy use. Why are we wasting energy and money heating and/or cooling our homes when we aren't home? Opportunity: ecobee launched the first Wi-Fi-enabled thermostats to the market in 2009. Not only is it simple to create a weekly schedule via the web, you can also have complete control of your thermostat from your smartphone. The result is an average savings of 23% on your energy bill. Problem: New business owners simply can't afford $10,000+ for a website. Period. So many small businesses are deciding to go without, or have a website that is essentially doing more of a disservice to their business (think 90s style websites) and not showing up in Google searches. Opportunity: Two young web developers, Mitchell Callahan and Dominik Sauter, of web-design firm Saucal Studios wanted to help their customers on small budgets. They created Mojito Sites, a WordPress-based, DIY website builder that puts professional and customizable websites within affordable reach. They also take care of SEO optimization so small business owners can focus on their business and leave the techie stuff to Mojito. Problem: Large corporations need to innovate but often don't know how. As a result, they burn time and money with no tangible results and lots of internal conflict or they end up buying start-ups and overpaying for them. Remember how Facebook bought Instagram for $1 billion? Opportunity: Ferhan Bulca is a 'serial intrapreneur.' He acts like an entrepreneur within a large organization and literally sees problems as opportunities to come up with practical and effective solutions. Intrapreneurs like Ferhan have different motivations compared to others working in the organization and are often given more freedom from the C-Suite. Problem: Startups and small businesses need an affordable option to get media hits, build their relationships with key influencers, have an effective social media presence and increase their blog content - all for a variety of goals which might be to improve SEO, increase sales inquiries, build credibility, etc. They need quick wins and can't afford large monthly retainers. Opportunity: Start a PR company that focuses on helping entrepreneurs and small businesses. Be flexible in my approach, understand the entrepreneurial mindset and be as passionate about their business as they are. In the end, this will drive the best results for my clients and will make NorthPR a trusted and reliable partner. What problem do you see as an opportunity? This is a sponsored post on behalf of University of Toronto School of Continuing Studies Certificate in Entrepreneurship program; however, the opinions provided are my own.